I was inspired talking with one of my Soldiers named Daniel yesterday, and he seemed to be inspired too, as excited as he was telling me about his wife’s bake shop back home in FL called De Azucar (“Of Sugar”). We were at a computer, so he quickly pulled up the website, and had me drooling over scrumptuous looking pastries. They looked so good, I could almost taste them, even though they’re thousands of miles away! But what inspired me even more was how Daniel was talking about his wife, his family, and that bake shop that is becoming a family ministry. He said she’s not making any money on it yet, “But look at all those people she’s blessing already!” he exclaimed, pointing at the picture of the team of ten his wife, Angie, has working for her (and GETTING paid– after only a year of being open!). And he was proud to say that one in the picture is his son, and one his future daughter-in-law. 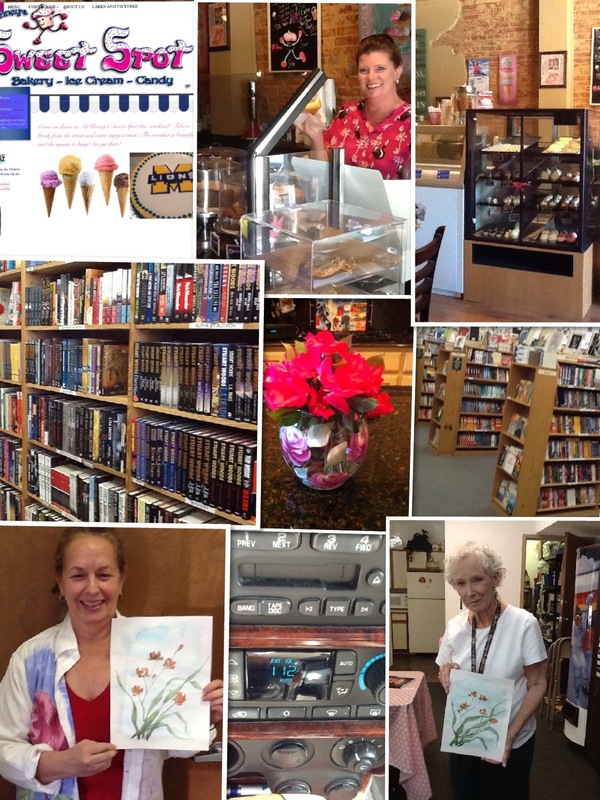 All that sweetness on the shelves and in my friend’s voice as he raved about the shop and his family, got me to thinking– what makes for the “sweet life”? A lot like any kitchen or bake shop, I’m thinking it starts with keeping clean– a guy doesn’t get to be married 30 years like my friend, and beaming about his family if his family life is polluted with all kinds of messes and dirt that we often bring home! Also like pastries, while it’s got a lot of sweetness to it, it’s not all sugar– the ingredients of a sweet life, as with pastries, includes a large amount of substance that is as boring as plain old flour, with a whole variety of other things thrown in. 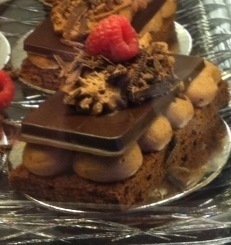 But it’s not just ANYTHING thrown in that makes for sweet pastries and a sweet life, but the RIGHT ingredients. Ingredients of love and simplicity and wholesome goodness, just enough electronics and digits to get the word out, but mostly a whole lot of warmth, relationship, prayer, and good chemistry. 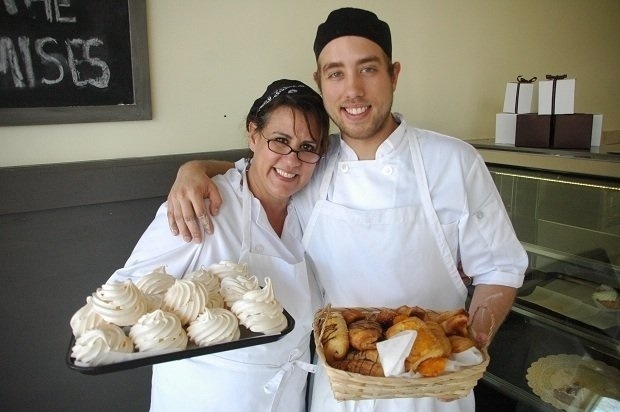 Good baking and a sweet life can’t just be thrown together in a cold, business-like fashion either– it’s love and passion that turns a pastry, a business, a family, a life, into something truly sweet (you should read some of the reviews of the place!). What are the ingredients, what is the passion that you’re using to cook up your family’s faith? Daniel was telling me in various ways that this little shop has been bathed in prayer for a long time, and is an answer to prayer that has more blessings to come. How much passionate prayer do you put into the family God has entrusted to you? What are you doing with the “kitchen” of your life to make sure it’s the kind of clean and wholesome place that can cook up a sweet life, rather than infecting everything that comes out of it because of the dirtiness inside? Keeping a kitchen, a bake shop, keeping a life clean is a never-ending discipline– “if you’ve got time to lean, you’ve got time to clean” I learned early in my McDonands career. Our lives are the same way– we can never stop cleaning up the messes that are simply a product of living in a broken world. And like Angie and her pastries, are you only using the right INGREDIENTS in your life, or are you filling it with left-overs, with junk, or what will “just do,” or are you using your passions and faith to fill your life with Godly ingredients? There’s a lot a family can learn about feasting on the Sweet Life from a place like De Azucar and the family it has grown out of. I’m eager to get back in the “kitchen” myself– how about you? Angie Lopez and her son Daniel Jr.
A delicious dessert or a delightful life requires devotion and dedication. Thank you Chaplain Jim! You are SWEET!!! Monday: A picture is worth 9.0 words. A week in review. Saturday morning writing group is one of the things I really look forward to every week. Our group is small, but we are close friends. Over the years, we have learned, and shared, laughed and cried. Friends! 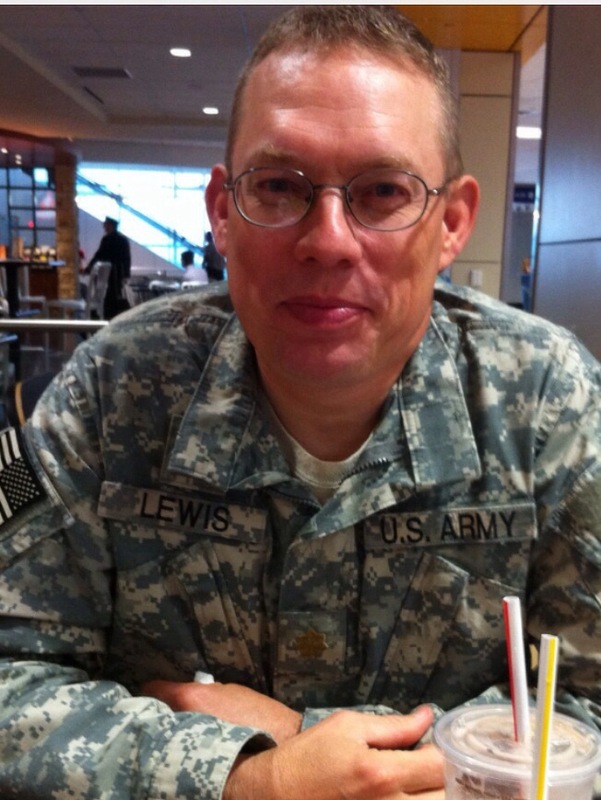 We started meeting at Saxby’s Coffee Shop in McKinney, then they changed hands. We floundered around a while looking for a comfy meeting place. We started meeting at Coffee2 on the Square. 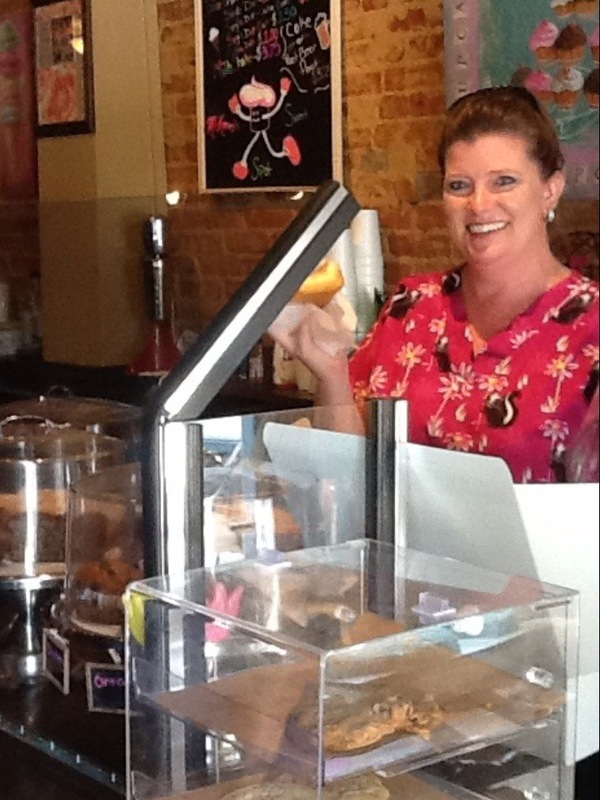 Just a few months ago, Sweet Spot Bakery opened up inside the coffee shop, sharing the space. Yummy cupcakes, ice cream, brownies, cakes, and freshly baked breads aromatically and visually tempting locals and visitors. Kathy White, owner of the sweet shop, told us that in a few weeks, she was taking over the entire store and expanding the bakery. Yeah! 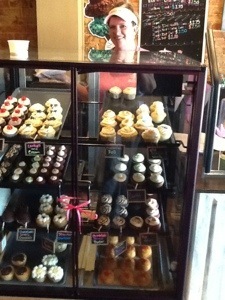 We can use a fun bakery in downtown McKinney. Kathy is a sweet gal herself. Sometimes she’ll sit and chat with us, sharing ideas and stories, while we complain about our lack of self-control. We wish Miss Kathy the best of luck. 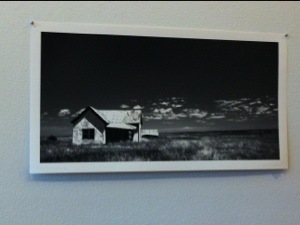 If you’re in McKinney, stop in at 120 W. Louisiana and support a new and exciting small business. Say Toni sent you. 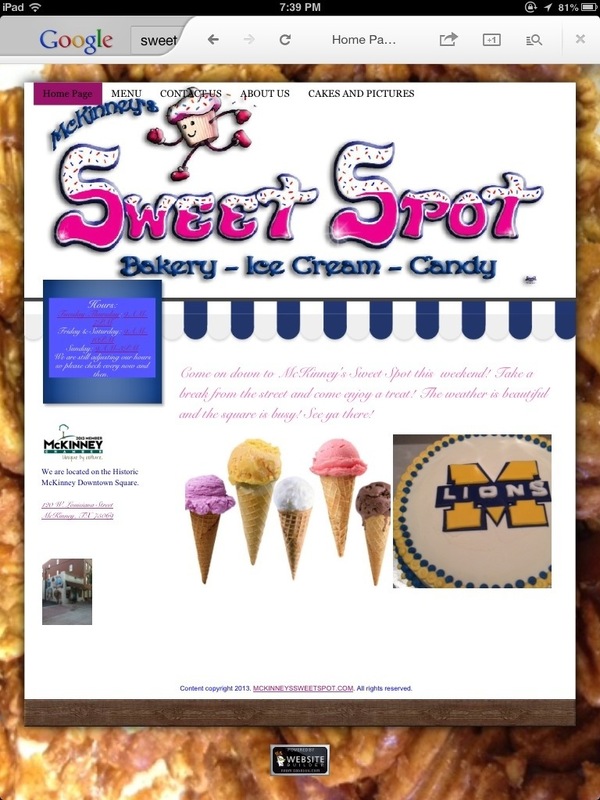 Kathy has a lot of exciting plans for Sweet Spot. McKinney was really hopping today. I started out my day at Coffee2 for our weekly writing group that meets at 10am. 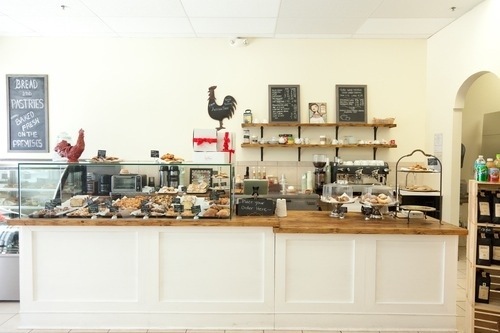 A new bakery called Sweet Spot opened inside the quaint little coffee shop. Yum! Afterwards, I walked around, and stopped at Snug on the Square to see if any friends were having lunch. I checked out the art exhibit at the MPAC, scooted over to the Garret Gallery, and went home to feed the dogs and let them out. It was Second Saturday and election day results and festivities in the evening. So, after I took care of the dogs and had dinner, I went back to the Square. 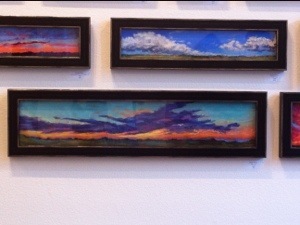 I ran into dozens of friends and went to several art gallery receptions. 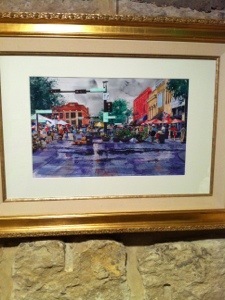 McKinney’s art scene is alive and thriving. 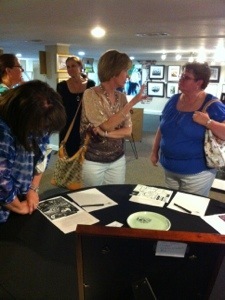 Printmaking art show and demonstrations at Orison’s- donated prints auctioned to support CASA. After a lot of visiting with artists and friends, I wandered over to the election countdown. 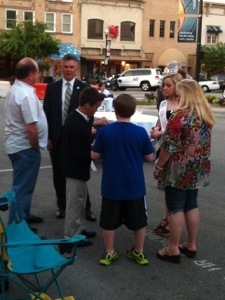 The street was blocked off, tables and chairs were set up, and the candidates and friends waited for the results. 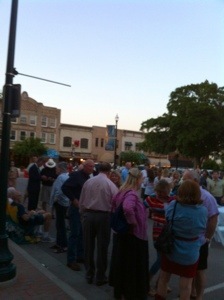 Downtown McKinney has such a small town feel and the Square is the place to be. Mayor Brian Loughmiller was reelected for a second term. 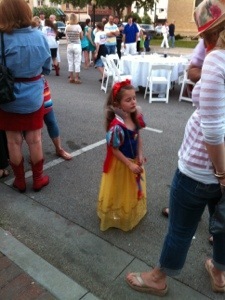 Even little Snow White was on hand for the festivities.